We sold the pair on 8/2 at 1.666 with initial target of 1.609. In Wednesday 8/16 Live Trading Room, we adjusted our limit profit to 1.623 and reached this target for 430 pips profit. 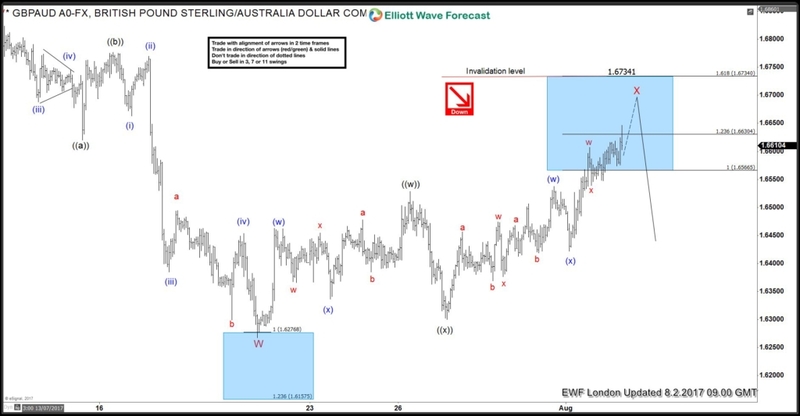 Below is a video clip of our trade recommendation from August 3rd Live Trading Room. We explained the logic why we liked the trade and how to execute it while controlling risk at the same time. The trade was originally proposed on July 28 and then filled on August 2. We adjusted the limit profit from 1.609 to 1.623 in August 16 Live Trading Room and the pair reaches our target on August 17 for a 430 pips profit. After the adjustment of limit profit higher, the trade still gives us a 2.5 reward to ratio risk. The 4 hour chart of $GBPAUD on 8/3 is showing a 5 swing incomplete sequence from 5/10 peak, favoring further downside. We sold the pair in the blue box during wave X bounce at 1.666. The entry level was chosen by looking into the smaller 1 hour time frame at that time. We entered the trade using the equal legs of (w)-(x) at 1.666 and put the stop at 1.685 with the logic as explained in the video above. Later that day, BOE reports came out and GBP got sold across the board. We created a risk free position when the pair dropped to 1.65. The trade remains active until 8/17 when it reaches our profit target of 1.623. 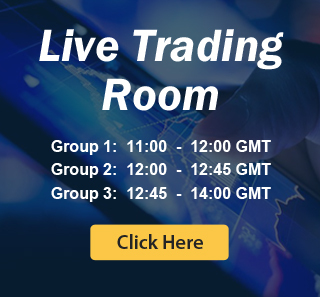 We hold Live Trading Room for Group 1 daily at 5.45 AM EST / 9.45 AM GMT and Live Trading Room Group 2 at 6.45 AM EST / 10.45 AM GMT. 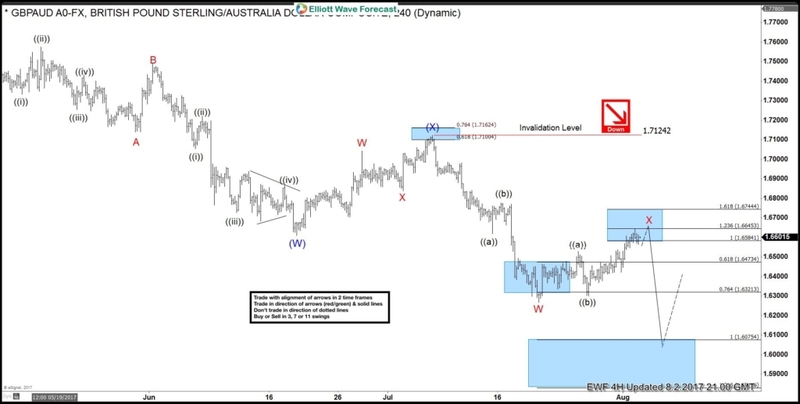 Join us everyday to get trading idea and learn how to execute trades using our technique of 3, 7, and 11 swing. Members will also receive a trading journal with entry, stop, and limit. Try our service 14 days only for $9.99 to get started. You will get access to Live Trading Room, Elliottwave charts for 52 instrument, live sessions, 24 hour chat room, and more today.